Hardware components have to work properly for the normal functioning of the computer. But, like other things, hardware components get older and slower, and gradually stop working. Failure of hardware components can bring disastrous results as the computer will stop working. It can also cause system crashes and other performance issues. So it is quite essential to replace old and faulty hardware components. A good backup is essential to deal with corruption situations. So backup the data regularly and save it to a secure location. 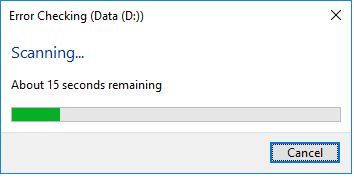 It will be helpful in case the original data gets corrupt or get deleted somehow. Do not open links from unverified sources. Do not open the attachments from unverified sources. Always keep a professional anti-virus program on your system. And keep updating it on regular basis. 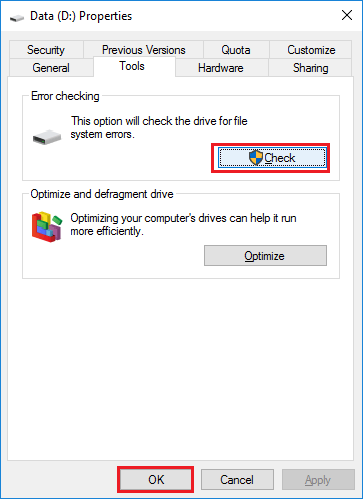 Windows CHKDSK tool checks the bad sectors on the hard drive. It can scan for errors and fix them. Here are the steps required to run the tool. 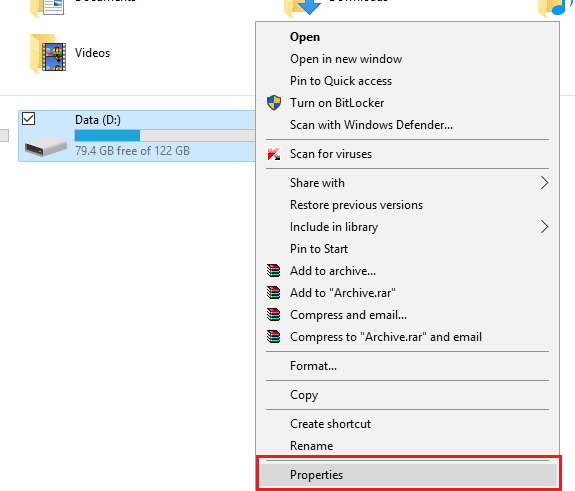 Select any drive of your drives and right-click on it. Then select Properties. Go to the Tools tab, click Check and then OK.
A dialogue box will notify you whether you need to run the scan or not. 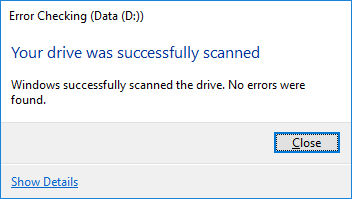 You can click Scan Drive and check any possible error. In the end, a message box will reveal if there are errors or not. Click Close to finish the task. Just start the Command Prompt (type cmd in Run and click OK). Input wmic as command, and press Enter. When the wmic interface is ready, input Diskdrive get status. Press Enter. If the hard drive is entirely healthy, it will give Status OK message. After Windows corruption, it is important to act at the earliest to avoid further data loss. The best option at this point is to use a good Windows recovery tool like Kernel for Windows Data Recovery. It can accurately recover the lost all types of files from the FAT 16, FAT 32, NTFS, and NTFS5 file systems. And it is compatible with all the versions of Windows OS.